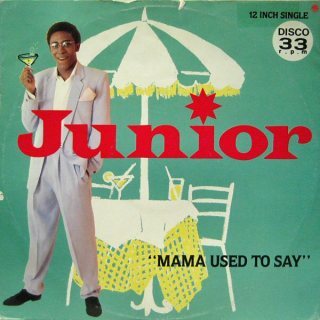 In 1982 Junior got to number 7 in the UK singles chart with Mama Used To Say. The song was a top 30 hit on the Billboard Hot 100 and a top five R'n'B chart hit in the U.S. too. I always thought it was one of the great songs of the early 1980s. That perfect mix of pop and soul. In 2011 Mama Used To Say was covered by the wonderful Beverely Knight. It's a great version that is pure soul and it features on her Soul UK album. Here's her version. One of the most successful music artists of the 1980s was Phil Collins. He had so many hit singles both as a solo artist and with his band Genesis. I always thought that all of his singles were big hit singles but that wasn't always the case. He had a number one single with his cover of You Can't hurry Love in 1982 which was the only big UK hit from his Hello, I must Be Going album. 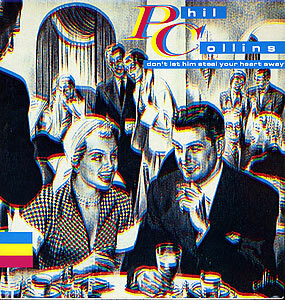 The fourth single from that album was Don't Let Him Steal Your Heart Away which only got to number 45 in the UK in 1983 but which was a number 18 chart hit here in Ireland. I often say it on this blog but I love the fact that many songs had their highest worldwide chart position in Ireland. The single cover may look a bit strange and that's because it was a 3D cover. Before Avatar there was Phil Collins! Don't Let Him Steal Your Heart Away was definitely a late night radio song. It's still a gorgeous pop ballad almost thirty years later. Today is Star Wars day. Here is the very beautiful song Tatoonine by Jeremy Messersmith. The video is edited by Eric Power and features papercut art from Star Wars, The Empire Strikes Back and Return of the Jedi.